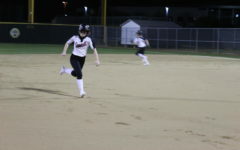 Coppell High School senior and left fielder Claire George hits the ball across the field at the CISD Baseball/Softball Complex on Tuesday night. 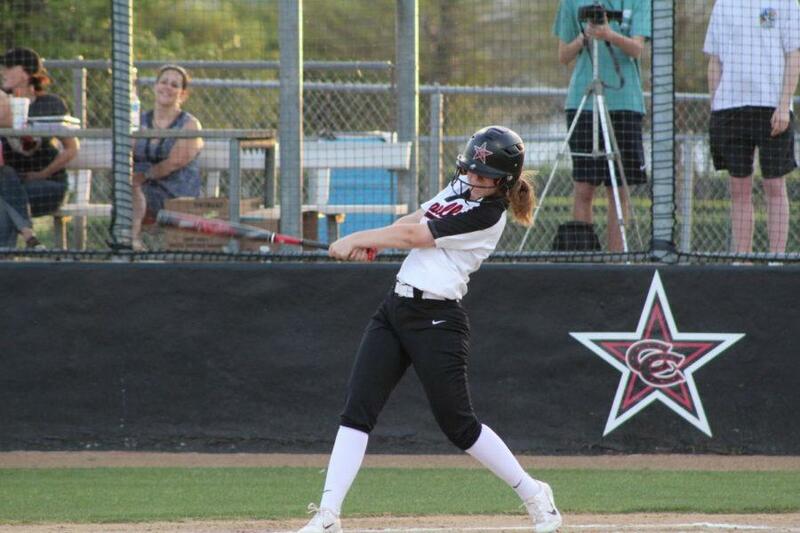 The Cowgirls varsity softball team won Tuesday night’s home conference game against the Berkner Lady Rams with a score of 2-1. 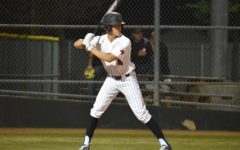 With the Coppell softball team stuck in a tie against Berkner in the bottom of the seventh inning, the crowd was on the edge of their seats the entire game, eyes glued to the field. The Cowgirls’ perfect district record was hanging by a thread. 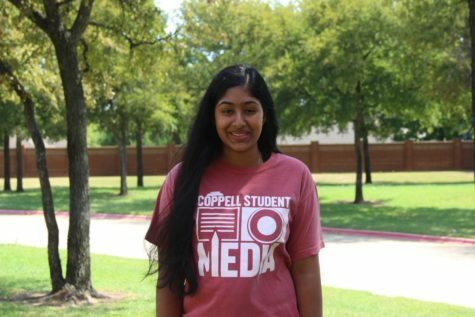 But with an RBI from junior center fielder Kaitlyn O’Quinn, the Cowgirls earned a 2-1 victory to keep a tight grasp on their record yesterday at the Coppell ISD Baseball/Softball Complex. Because it was the Cowgirls’ Teacher Appreciation Night, audio recordings of the players messages to the teachers they are most thankful for were playing throughout the first few innings. Most of the teachers who were honored were present at the game, supporting their students. 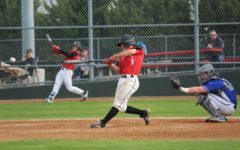 Coppell grabbed its first run near the beginning of the game. Senior shortstop Logan Kegley singled and advanced to second on a bunt before scoring on a hit by senior left fielder Claire George to left field. Defense and pitching were the strongest points of the game, with junior Nora Rodriguez pitching for the Cowgirls. “Nora did a really good job shutting down the other batters, and making sure the defense was doing well behind them,” Lee said. The Berkner pitcher was also impressive, which was one of the reasons the game was so close. When the Cowgirls played the Rams on March 20, they crushed them 14-2, which left them feeling a little overconfident going into yesterday’s game. The Cowgirls will play Skyline on Friday, whom they defeated 17-0 when they last met.